If game development was my day job, my process would be completely different. Since it is a hobby, my process is very relaxed, and takes a very long time to manifest. And by very long time, I mean years. This means I have quite bit to say about it! I started with the core thought of bringing deck building mechanics into video games. 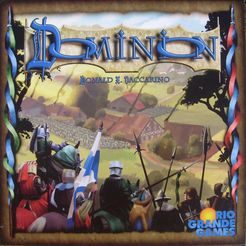 At the time, deck building games like Dominion and Ascension were just deck building as a game mechanic, with nothing else. Play cards, buy cards, repeat. It’s a very fun mechanic, that allows for engine building and growing in power. Allows for strategy and tactics. I always felt like these mechanics could really shine in a more complex system. These days there are quite a lot of games that incorporate deck building with other game systems, even some video games. Personally, I like developing video games, mostly because of their solo nature requiring less playtesters than physical board games. So I started thinking about deck building and video games. I’ve spent a lot of time thinking about deck building games, deconstructing and finding what they mean for the player. Essentially using deck building mechanic in another game system, one that would use static number of abilities like an RPG, gives us two advantages. First, it allows for a very wide range of abilities, while not overwhelming the player with choice, and even more importantly, not allow for one ability to overshadow all the rest. By not having all the abilities, presented as cards, available at all times, you force the player to use a much wider range of abilities. But you don’t overwhelm the player with many abilities all available at the same time. Furthermore the discard and redraw mechanic allows for a built in and variable cooldown clock on those abilities. Second, deck building allows for character growth in a much more abstract manner. Instead of leveling up, skill trees, and stats, your character can add or remove cards in their deck to become more powerful. Both simplifying the system, and allowing for much more diversity on character development paths. If I allow a use of a card to be automatically replaced, then a character exploring a dungeon can always cycle the cards until they have a “perfect” hand before entering a danger zone. This is a problem not because it is too powerful, but rather because the dominant strategy will not be fun. This problem can be solved by attaching a cost to playing a card, such as paying food, which is common in many roguelikes. However it might still be a good strategy to cycle some cards and pay the food, and I was unsure if that would be fun. Monster Slayers, a digital deck building game, solved this by separating the dungeon into combats, and drawing a fresh hand for every combat. This is a solution that prevents a lot of design space for cards that have meta effects, such as teleportation between rooms, since cards are not available when not in combat. A risk reward system that allows removing cards from the deck in an inherently interesting fashion. First, I say that cards in hand are health. When a character is attacked and takes damage they discard cards, when they can’t discard cards when they’ve taken damage, they die. This also allows for interesting design of cards in hand that when discarded have an effect, such as a reposte, or cards that generate temporary cards in hand as shields. Now after that, I can say that under certain conditions, instead of discarding a card from damage, it is removed from the deck completely. Thinking back to having a risk reward system, then I want these conditions to be mostly voluntary. My idea was a darkness that approaches from behind, if the character is inside the darkness, then discards are removed instead. Then characters can decide to stay back, enter the darkness, and remove cards. Of course, staying in the darkness is a risk, as enemies are stronger, and may kill the character! Lastly, it was important to ask myself the question, what can a video game do with deck building that a physical game cannot, or has a hard time doing? Some answers include cards that have memory, and change based on how you use them, for example a bloodthirsty card that grows more powerful the more enemies you kill with it. Random effects are much easier to generate programmatically than using dice, or other physical randomizers. And playing around with draw chances, instead of simply drawing from a deck of cards, and shuffling. Join me next time, as I start to tackle this project. Slowly. Next Article Git and unity and google drive oh my!